This Friday, April 8, 2016 will be the last day to purchase a yearbook and lovelines. If you would like to purchase one/some and you haven’t done so already, please fill out the below form and return it to school with your child. Yearbook Amount: $20.00 per yearbook, so get yours today! Payment will be accepted in the form of cash. Please make sure your order form is filled out completely with your child’s name as it appears on their class list. 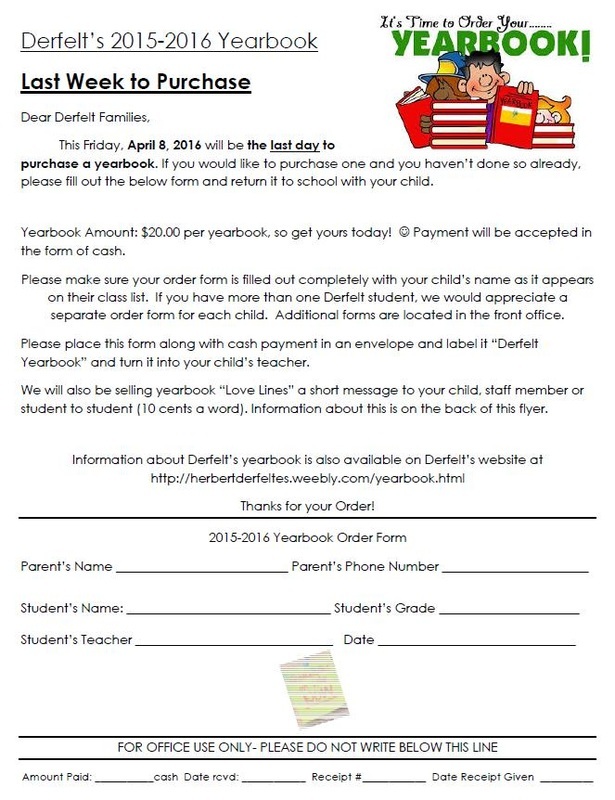 If you have more than one Derfelt student, we would appreciate a separate order form for each child. Additional forms are located in the front office. This Friday, April 8, 2016 will be the last day to purchase LoveLines. If you would like to purchase one/some and you haven’t done so already, please fill out the below form and return it to school with your child. 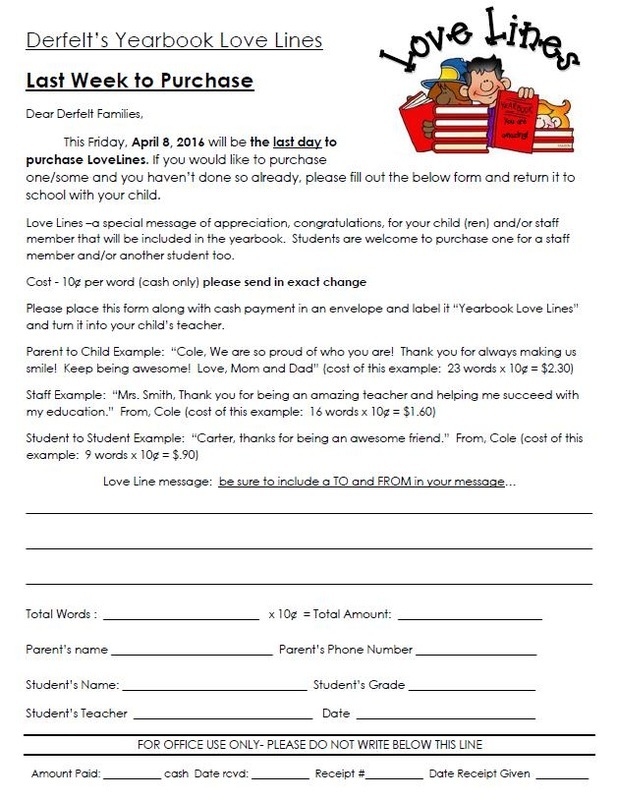 Love Lines –a special message of appreciation, congratulations, for your child (ren) and/or staff member that will be included in the yearbook. Students are welcome to purchase one for a staff member and/or another student too. Please place this form along with cash payment in an envelope and label it “Yearbook Love Lines” and turn it into your child’s teacher.